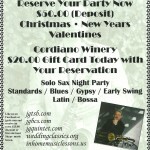 Solo Sax Night Party at Cordiano winery. Looking forward to performing all you favorite tunes at Cordiano Winery this Wednesday night from 5-8 P.M Come out and enjoy the GREAT Wine & food ( pizza) and be greeted by outstanding owners and staff. 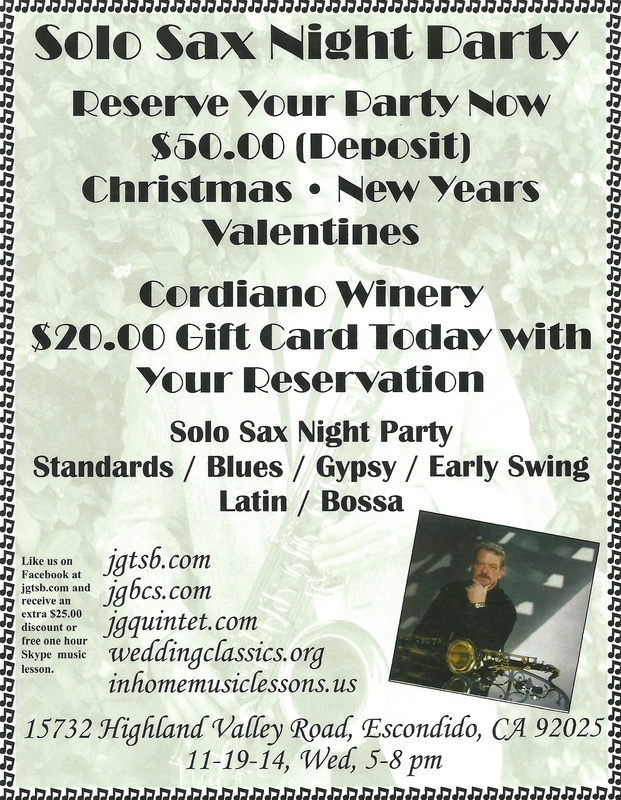 Like us on facebook and receive a $25.00 discount on your own ” SOLO SAX NIGHT PARTY.” and a FREE Skype Music lesson at www.inhomemusiclessons.us. ChEERS, jIM.